As far back as she can remember, California native Toni Palmer has been looking for the best way to express her inner passion. Early on, it was through the dramatic arts, including theater, music, dance, and then creative writing. From there she moved onto other forms of expression, and has explored many mediums, from macramé, needlework and candle making to stained glass and woodturning. 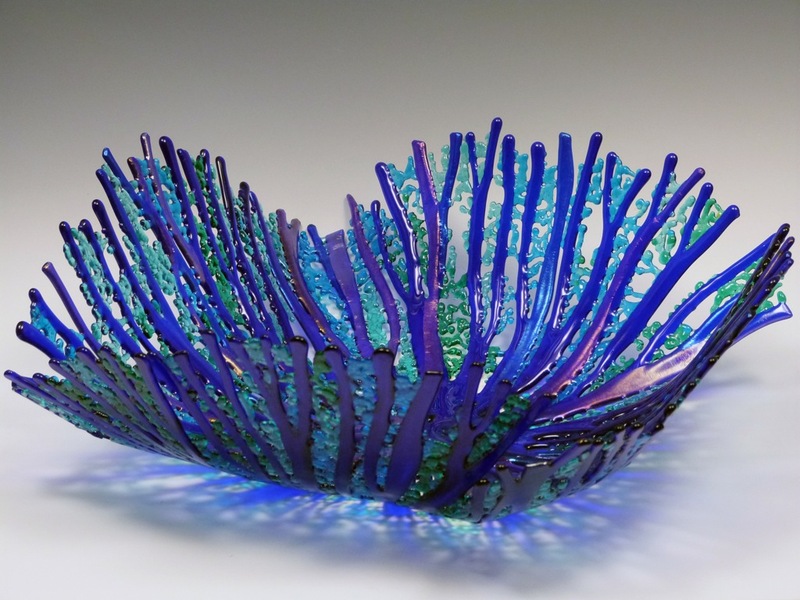 Once she discovered the art of kiln formed glass, she knew she had found her niche. 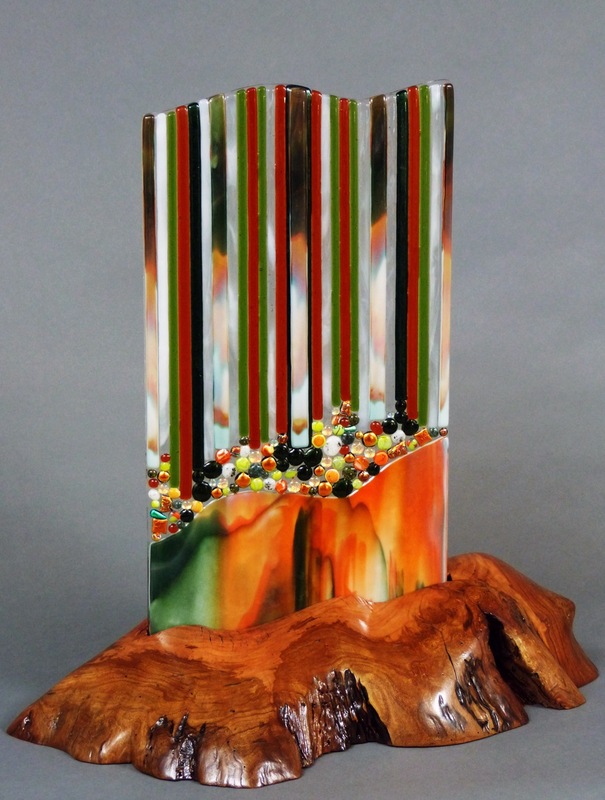 What Toni loves about kiln formed glass is that it appeals to her sense of balance. The process calls for both imagination and logic, as once the piece is designed the journey is nowhere near over. So as to anticipate the end result, she must then visualize the different phases the glass will go though as it heats to between 1400- 1700 degrees, forms one piece, and slowly cools. Look for Toni’s glasswork at art shows throughout the Southeast.